The Pokemon franchise celebrated its twentieth anniversary earlier this year and did so in a big way. Not only was Pokemon Red, Blue, and Yellow released on the 3DS Virtual Console, but special Red and Blue Collection boxes of the Trading Card Game were produced along with the Pokemon Generations set, monthly box sets representing various legendary Pokemon were also released, and players of X, Y, Omega Ruby, and Alpha Sapphire could get a legendary Pokemon each month to use in their game. To help cap off 2016 we now have the release of the seventh generation of Pokemon with Pokemon Sun and Pokemon Moon. 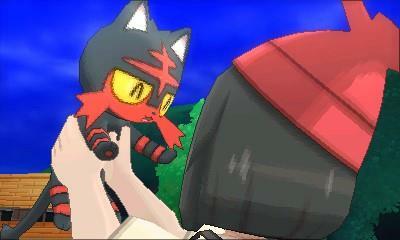 The game begins with a bit of story, something not often present in a Pokemon game. 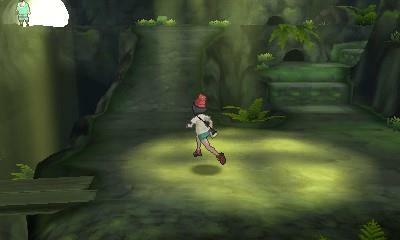 Prior to seeing the title screen for the first time we see a girl running away from someone while carrying a white bag. We soon learn what’s in the bag as well as who the girl is, but more on that in a moment. Meanwhile as per Pokemon tradition you and your mom have recently moved to the Alola region, this time coming from Kanto, a nice throwback to the original games. You soon meet Professor Kukui, also continuing the tradition of the professors being named after trees. 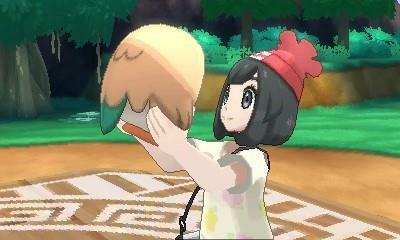 After some introductions, which include Kukui’s assistant Lillie whom we saw during the intro, you get to pick your new starter Pokemon from Rowlett, Litten, and Popplio, after which you begin your journey and eventually start what’s called the Island Challenge. If you’ve played past games in the series or at least have seen anything Pokemon related, then you have an idea as to how the game progresses, but there have been some changes since X and Y. Some of these changes are minor and not too noticeable while others are pretty big. The first major change is how the game flows in terms of traveling and the gyms. As you play you learn that the Alola region is made up of four islands and you begin the game on Melemele Island. 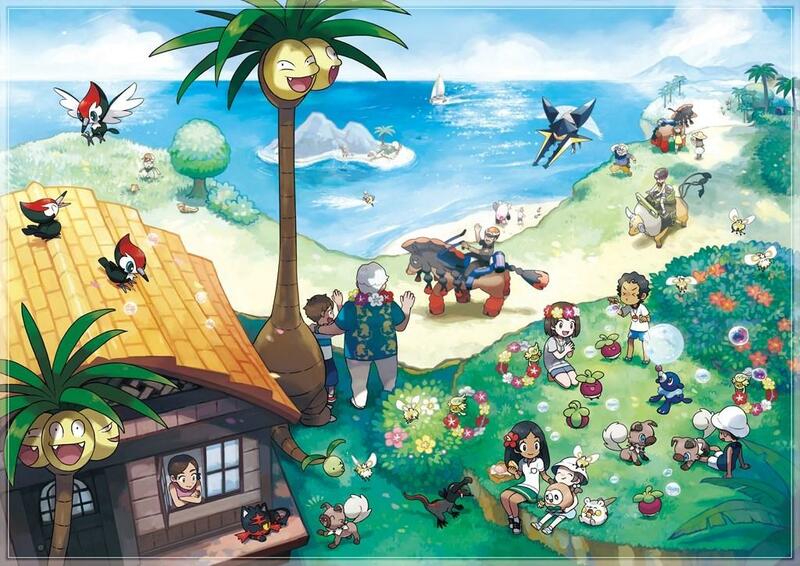 Each island has a kahuna, one or more captains, and a guardian deity Pokemon that protects the island. Each captain has a trial that’s part of the Island Challenge. The challenges include things such as clearing out several nests of Pokemon or taking on what’s known as a Totem Pokemon, which is a more powerful version of a normal Pokemon. 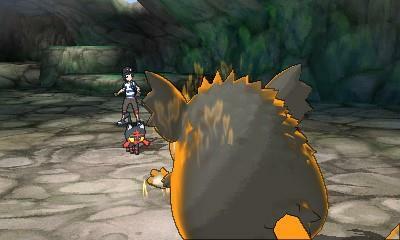 After clearing all of the trials on an island you can then battle against the island’s kahuna. On an interesting note, the trials and challenges replace the traditional Pokemon Gyms seen in the past games as once you defeat an island’s kahuna, you’ll receive a special stamp on your passport and can proceed to the next island. While performing a trial you can’t collect any Pokemon until you’re done, but that’s usually not too much of an issue as you can just go back to the area once you’re done and catch all you want. 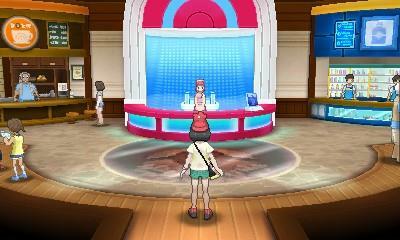 Honestly I was kind of skeptical at first about the trials replacing gyms, but it’s actually a refreshing change. Not that I don’t like the gym format, but it’s probably one of the more major changes to the core series since it began. As with any Pokemon series you also have the game’s “Team Rocket” so to speak, this time called Team Skull and I have to say that, at least from what I’ve played so far, Team Skull is the least threatening villain team to date in the series. Not that that’s a bad thing, but it’s hard for me to watch a scene play out with Team Skull and not laugh at how they act. More often than not they’ll spend a good portion of the scenes moving their arms around like they’re in a rap video or something. Combine that with the fact that their goal is to steal Pokemon similar to Team Rocket and it makes Team Rocket seem menacing by comparison. So now that the core changes are out of the way, what about some additions and minor changes. Pokemon Sun and Moon introduces the Festival Plaza, accessible from the in-game menu. This is a place where you can earn festival coins to spend at various shops to help increase your Pokemon’s stats, customize your avatar’s clothes by dyeing them different colors, and other services. As you interact with festival fans and gain more coins, the level of your plaza will increase, allowing you to place new facilities. However, you can only have so many facilities in the plaza meaning you’ll have to replace facilities if you wish to build new ones. The Festival Plaza is also where you’ll go to set up battles and trades with other people either locally or online, as well as take on missions with other players. As of the time of this writing it didn’t seem like anyone was hosting any missions so I didn’t have much of a chance to check this out. You can also activate a function known as Game Sync. This lets you sync your game’s data to the Pokemon Global Link online and let you check out info such as your game profile as well as any statuses for ranked battles and the Global Trade Station. Next is transportation. Remember the days of having to have a couple of Pokemon in your party to use HMs such as Fly and Surf? Well those days are gone. 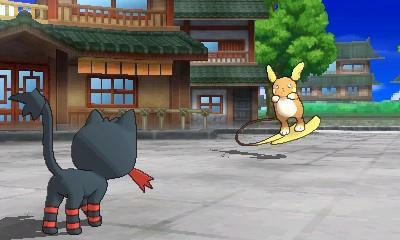 Throughout the game you’ll obtain ridable Pokemon which is basically what it sounds like: Pokemon you can ride on to get around. Each ridable Pokemon has a special ability such as Lapras being able to swim and Tauros being able to charge around and break up certain rock piles. This is a nice addition as I no longer have to worry about always carrying a Pokemon with a specific HM just in case I need to fly somewhere or swim around. On a slightly different note are the new Alolan Form Pokemon, previous generation Pokemon with a different look. While you can catch the new Alolan Form Pokemon, one thing I didn’t come across while playing was if you could also catch their original counterparts. I have seen them used in battle, but their Pokedex entries just use their normal names, such as Rattata, but they do show “Alolan Form” under that. The final major addition to the series are Z-Moves. You get a special amulet early on in the game and soon after begin receiving various crystals based on the different Pokemon types such as Normalium and Fightinium. When a Pokemon is holding a Z-Crystal that matches the type of at least one move it has (ie. 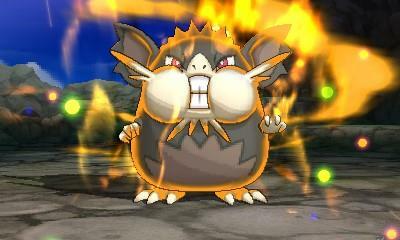 a Pokemon holding a Normalium-Z has at least one Normal-type move), you can activate a special Z-Move in battle. Physical moves are more powerful than normal moves and will typically show the same Z-Move regardless of what the original move was, while status effect moves will usually have an added benefit when it’s Z-Move version is used. There are a couple of quirks though. 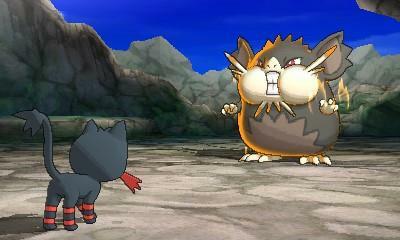 First, similar to Mega Evolutions only one Z-Move can be used per battle across your entire team. The other quirk, and this is a bit weird, is that you can have more than one Pokemon hold the same Z-Crystal at the same time. I’m not sure how that works exactly, but after eighteen years in the world of Pokemon I’ve learned not to really question anything. There are a couple of minor nitpicks I do have with the game though. The first of which is something that began a couple of generations ago and that is getting the Experience Share very early on. 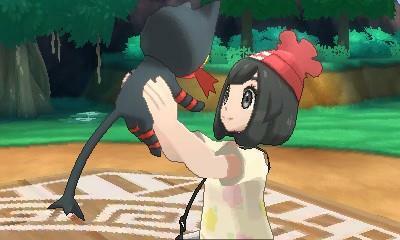 As with my previous reviews of X and Y I understand the target audience for the game and getting the Experience Share early makes it a lot easier to level up Pokemon, especially since you gain experience for defeating and catching a Pokemon in battle. Still, most of my time so far has been with my starter and I’ve rarely ever had to switch out unless the opposing Pokemon was strong against every move it had. That said my starter is typically at least five levels above whatever I’m fighting against and I’ve never really been in any danger of my entire party wiping out. 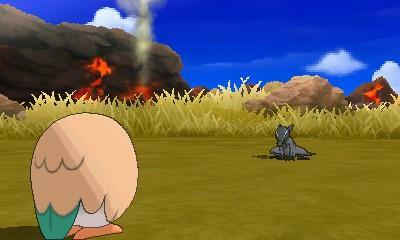 Another annoyance I found was that in a lot of battles with wild Pokemon, they can “call for help” after they attack. 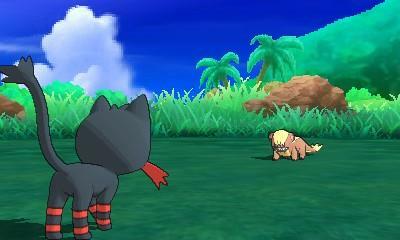 If successful, another Pokemon will join the battle essentially making it a two-on-one handicap battle. What’s more is that like with horde encounters you can’t catch either Pokemon unless one is defeated first. On the contrary to that, it seems like catching Pokemon has become a bit more difficult. 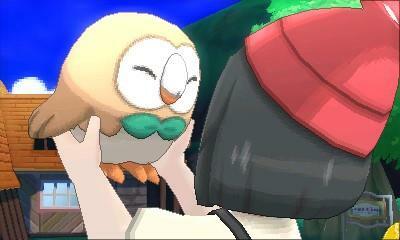 I know that you’re supposed to weaken wild Pokemon first before throwing a ball at them, but in previous games I’ve been able to go up to a wild Pokemon early on, maybe no more than level ten or so, chuck a standard Pokeball at it from the get go, and have a really good chance at catching it. At one point in Sun and Moon however, I had a level seven Wingull down to the red, maybe around six or seven HP left, and it broke out of a Pokeball after the second shake. Thankfully you gain access to Great Balls after a few hours so that issue doesn’t last too long. It’s also worth noting that when the bulk of your adventure begins your mom gives you a bit of spending money…and by a bit I mean the equivalent of her yearly salary it seems. 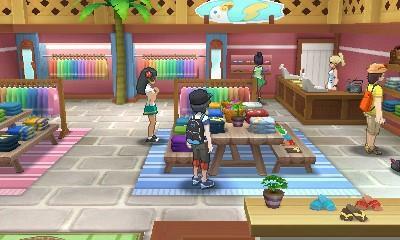 When I first got to a Pokemon Center and went to buy stuff, I had over thirty thousand dollars to spend. That it took me by surprise is an understatement. Other than that, Pokemon Sun and Moon are very solid entries into the Pokemon series. The island trials were a refreshing change from the typical gyms and the Pokemon you encounter in the wild are somewhat of a nice mix between old and new, though it does skew a bit towards the old. The difficulty is about on par with X and Y allowing newer players to easily enjoy the game without worrying about the constant grinding of experience levels. The new Z-Moves are interesting but similar to Mega Evolutions (which are in the game still) I didn’t find myself using them all that much unless I was in a situation where I had almost no choice. With all of that said, I really enjoyed my trip to the Alola Region and I think I’ll stick around for a while. Pokemon Sun and Moon are solid entries into the Pokemon series. While there are a couple of things to nitpick here and there, as any Pokemon game will have, the difficulty is easy enough for new players to get into the series, while more experienced players might find things a bit too easy at times. The trials are also a nice change from the standard gyms and no longer needing specific Pokemon for HMs was a welcome addition. 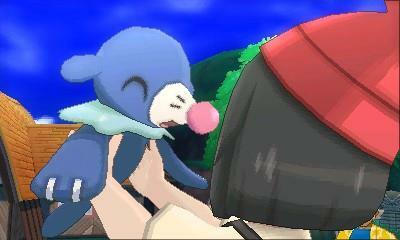 Pokemon fans should definitely enjoy the seventh generation. I began my lifelong love of gaming at an early age with my parent's Atari 2600. Living in the small town that I did arcades were pretty much non-existent so I had to settle for the less than stellar ports on the Atari 2600, but for a young kid my age it was the perfect past time, giving me something to do before Boy Scout meetings, after school, whenever I had the time and my parents weren't watching anything on TV. I recall seeing Super Mario Bros. played on the NES at that young age and it was something I really wanted. Come Christmas of 1988 (if I recall) Santa brought the family an NES with Super Mario Bros./Duck Hunt and I've been hooked ever since. Over 25 years from the first time I picked up an Atari joystick and I'm more hooked on gaming than I ever have been. If you name a system, classics to moderns, there's a good chance I've not only played it, but own it. My collection of systems spans multiple decades, from the Odyssey 2, Atari 2600, and Colecovision, to the NES, Sega Genesis, and Panasonic 3DO, to more modern systems such as the Xbox and Wii, and multiple systems in between as well as multiple handhelds. As much as I consider myself a gamer I'm also a game collector. I love collecting the older systems not only to collect but to play (I even own and still play a Virtual Boy from time to time). I hope to bring those multiple decades of gaming experience to my time here at Gaming Nexus in some fashion. In my spare time I like to write computer programs using VB.NET (currently learning C# as well) as well as create review videos and other gaming projects over on YouTube. I know it does seem like I have a lot on my plate now with the addition of Gaming Nexus to my gaming portfolio, but that's one more challenge I'm willing to overcome.